 Teleradiology Customer Base Evolving - ONRAD, Inc.
AdvanceWeb.com | October 31 – The client for teleradiology is shifting, according to new research from independent health care technology research firm KLAS. Teleradiology contracts have been held historically by local radiology groups; however, in a newly published report, KLAS found that hospitals and clinics now hold close to 40 percent of teleradiology contracts. “It was surprising to see this shift in teleradiology contracts from radiology groups to a mixture that includes radiology groups, hospitals and clinics. In several situations teleradiology decisions are being made at the health system level,” says Emily Crane, KLAS research director and author of the report. The inaugural Teleradiology Study 2010: A Detailed Read on the Market report reviews four national and four smaller teleradiology vendors. Of these, smaller teleradiology companies showed performance scores as high as–and in some cases higher than–large, national companies.